Littlefish Cloud Services deliver increased organisational security and resilience while achieving greater agility, innovation and the ability to rapidly scale infrastructure in the cloud. Forward thinking organisations are increasingly moving away from traditional on-premise solutions and embracing the significant rewards of a cloud first strategy. Delivering increased organisational security and resilience whilst achieving greater agility, innovation and the ability to rapidly scale infrastructure, migrating to the cloud can generate significant cost efficiency gains through flexible pricing models and reduced wastage. Our Cloud Services help you acheive this. 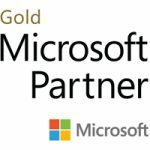 As a multi-certified Microsoft Gold Partner with in-house enterprise grade expertise and experience, Littlefish is well positioned to guide you, through the key considerations of people, process and technology as we advise on how best to transform to cloud services, specifically for your organisation. And remember no two organisations are the same, so don't follow suit, avoid the failures others have made by engaging Littlefish, a cloud friendly expert. 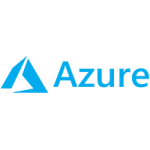 From advice and guidance through to design, planning and cloud selection and delivery, our accredited experts can help you fulfil your cloud objectives. Littlefish cloud services make moving to the cloud an easy, straight forward experience. By understanding your drivers, we can propose the right solution and assist your decision-making process. Littlefish work with you to ensure your business is operational, optimised and prepared thus reducing risk, removing exposure and delivering peace of mind. Reflecting Littlefish’s customer first ethos of delivering genuinely tailored, user-centric services, our four Microsoft Gold Partner accreditations demonstrate our high-level expertise in assisting organisations towards a 'cloud first' strategic roadmap by utilising solutions built around Microsoft’s Azure and Office 365 platforms. Attaining Microsoft Gold Partner status, Microsoft's highest partner level, across multiple competencies is the reward for meeting extensive technology requirements through rigorous exams and certifications and receiving customer recommendations for our skills, support and knowledge - highlighting our commitment to maintaining deep knowledge of Microsoft products to help us deliver outstanding customer outcomes. Littlefish’s portfolio of cloud services allows your business to control costs through predictable, yet flexible, OpEx based, pay-as-you-go pricing models. As you buy only the level of resource you need, expenditure is highly efficient while scalability is available on demand. The services enable your users to work smarter and more flexibly by accessing both service and data from anywhere, at any time. Reliability is increased through our guarantee of 99.9% uptime, and our use of Tier 3-4 ISO27001 accredited and PCI-DSS compliant Data Centres means that security and business continuity plans are improved over traditional on-premise solutions.